Global rainforests are in danger. The implications are overwhelming. Rainforest vacations educate and empower. Experience natural wonders existing nowhere else in the world. Knowledge is power to change. A rainforest vacation is an ecotourist adventure. Ecotourism advocates sustainable travel, which supports local communities in regions threatened with ecological and economic disaster. The International Tourism Society (TIES) defines central principles guiding legitimate ecotourism. Responsible ecotourism works to minimize tourist impact on the environment and a location's people. An ecotourism adventure should raise one's awareness of and respect for cultures and ecosystems, and visitors and inhabitants should benefit from the tourist presence. Eco-travel to any of the world's rainforests brings the best of ecotourism philospohy to the forests and inhabitants. Here's a look at two vacation packages you might want to consider as well as information on ecotourism in the Amazon and the Congo. Take pleasure in a luxurious yet eco-conscious vacation in Costa Rica with this carbon neutral vacation package that takes you to the Costa Rica’s Central Valley and Osa Peninsula. 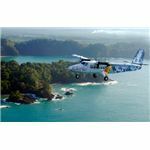 You’ll spend two nights at the Finca Rosa Blanca Country Inn and three nights at the Lapa Rios, both of which have received the “highest possible rating under the Costa Rican Susatainability Certification System (CST)." Alternatively, you can simply drink in the gorgeous scenery while you lounge lazily in a hammock or visit the nearby organic coffee plantation and pick your own coffee beans. No matter what activities you choose to indulge in, you can enjoy them with a clean conscious because any carbon effects have been negated. 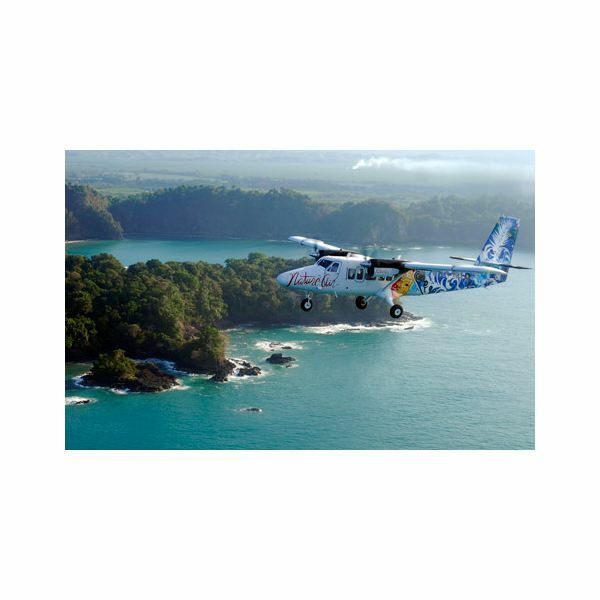 This rainforest adventure package runs about $1620 per person (not including flight). You’ll have your choice of eco-friendly lodgings when you take this seven night trip to Belize. Choose from a unique rainforest cottage at Chaa Creek or a condominium suite with a beachfront view at the Phoenix Beach Resort. Chaa Creeks and their partners operate their businesses using green, sustainable methods. The best-known and the largest rainforest in the world is the Amazon Rainforest. The Amazon Rainforest basin is about the size of the contiguous United States. According to the rainforest awareness site, Mongabay.com, the Amazon Rainforest covers about 40 percent of South America, including parts of eight South American countries. The greatest threat to the Amazon Rainforest is deforestation. In a Green Peace report issued in July 2009, it states that the cattle industry is responsible for 80 present of deforestation in the entire Amazon. Destruction of this rainforest has staggering implications for the entire world. The Amazon Rainforest is the world’s most important forest carbon store. The health of the planet and all inhabitants are threatened by deforestation. Indigenous people throughout the massive Amazon region are victims of cattle ranchers, tourism and other non-indigenous ventures. A socially-conscious Amazon Rainforest vacation will not allow tourists to overrun rainforest inhabitants. Nor will environmentally-conscious tourists be responsible for further destruction of habitat through the use of timber to build hotels and other tourism-related development. Sustainable travel brings tourists in contact with native inhabitants who can teach visitors about the connection between human beings, the land and all of the species relying upon a healthy environment. Fair trade with indigenous peoples is a concern for sensitive ecotourists. An Amazon Rainforest vacation introduces travelers to a small piece of this massive rainforest and the issues confronting the region and the world. Awareness is crucial to curbing ceaseless environmental destruction. Socially and environmentally sensitive toruists will be impressed by the lessons presented by the wonders and challenges of the Amazon Rainforest. A nature reserve in a region of the Congo rainforest is an example of how ecotourism can positively impact theratened environments and struggling inhabitants. Mongabay.com reports that local villages and conservation groups have formed a partnership to create a reserve in the Democratic Republic of Congo (DRC). 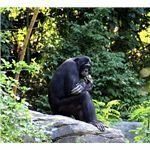 The Bonobo Conservation Initiative (BCI) leads the effort to save forests, great apes and impressive biodiversity. Local Congolese NGO and inhabitants of Kokolopori villages are involved in every detail of the creation of the Kokolopori Bonobo Reserve. Visitors to the Kokolopori Bonobo Reserve will be impressed by local control over forest decisions as well their own lives. Allowed to hunt and not driven out by outside hunters, villagers need not starve while outsiders hunt local game. A rainforest vacation to the Congo rainforest can be a volunteer vacation. Work with community development or as part of a cultural exchange program. See first-hand how cooperation between indigenous cultures and conservation groups can create hope for sensitive ecosystems. Partnerships with the reserve and the effort to save the rainforest and sustain its people include the Global Conservation Fund, the U.S. 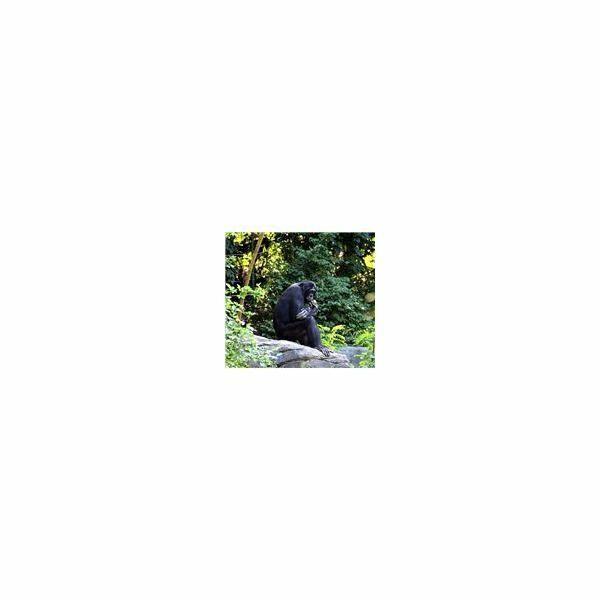 Fish and Wildlife Service's Great Ape Conservation Fund. The Kokolopori-Falls Church Sister City Partnership with the citizens of Falls Church, Virginia support sustainable cultural exchange programs.